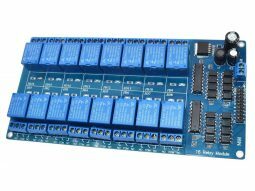 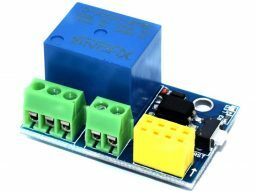 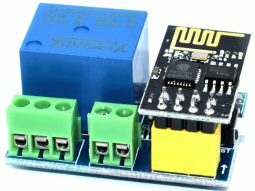 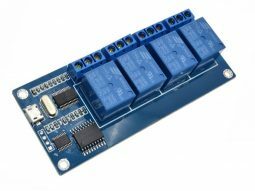 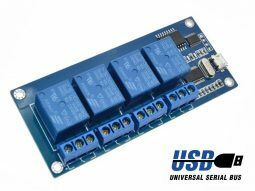 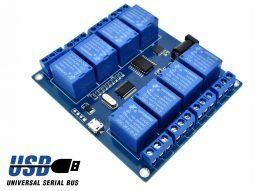 The 4 Relay Module comes with opto-insulated inputs and can be driven by input voltage of 3-24V DC. 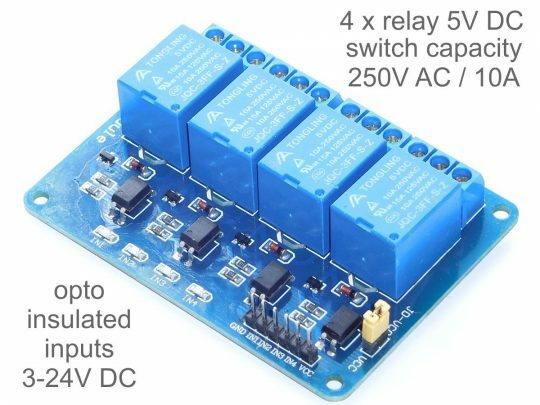 The relays are 5V models, needing a 5V DC power supply to work. 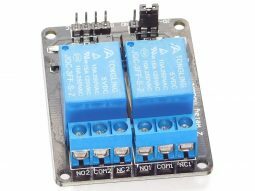 The maximum switchable load is 10A at 250V AC or 30V DC (max.). The 2 different power supply modes of the 2 Relay Module can be selected by jumpers. 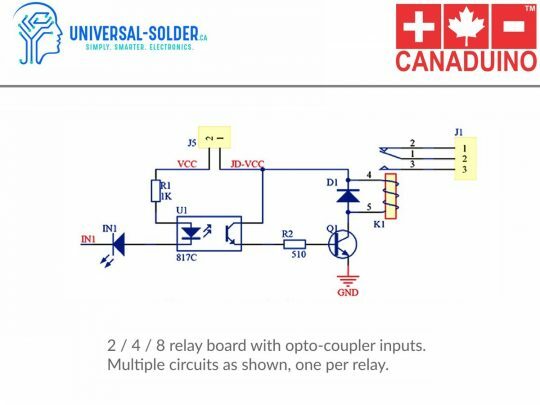 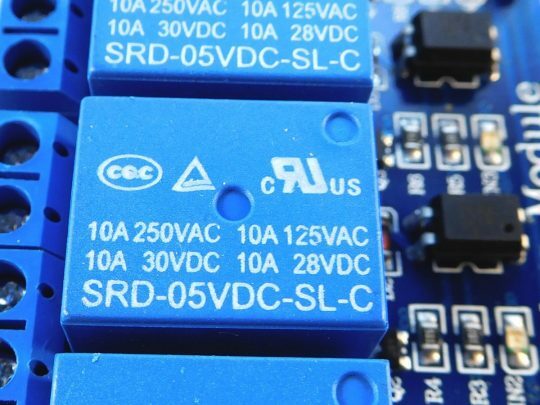 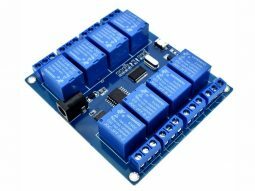 Our 4 Relay Module needs about 70mA per activated relay (at 5V). 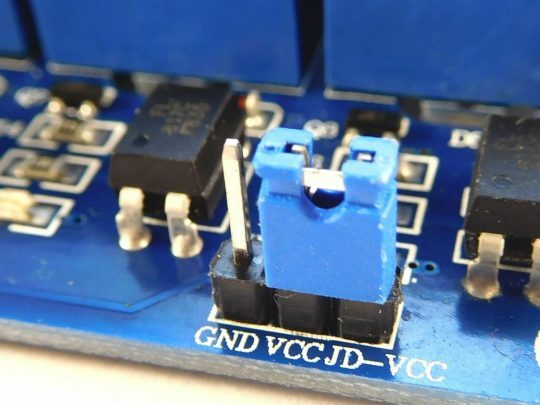 Please make sure, your power supply is strong enough. 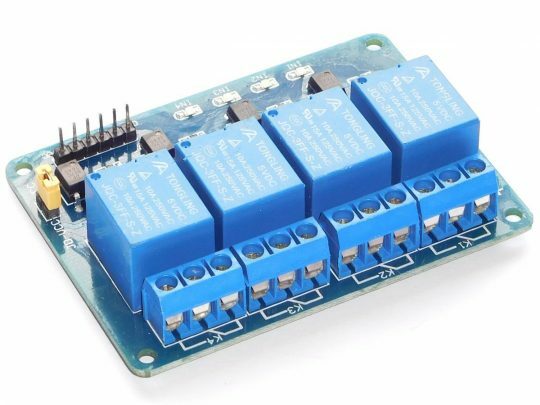 Because of the opto-coupler is the necessary input current just about 1mA (but shouldn’t exceed 20mA), and the relay board can be directly controlled by any development board like Arduino or Raspberry, and also by every available micro controller (Atmel, ST, PIC etc.) 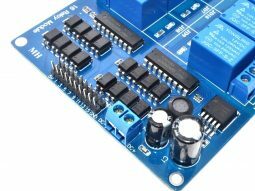 with a logic level of 3V or above. 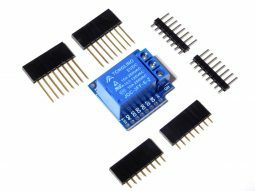 The dimensions are 57 (W) 77 (L) 18 (H) mm.